When you have hundreds of items in your product assortment, it is important to keep your customers up to date with the latest information. 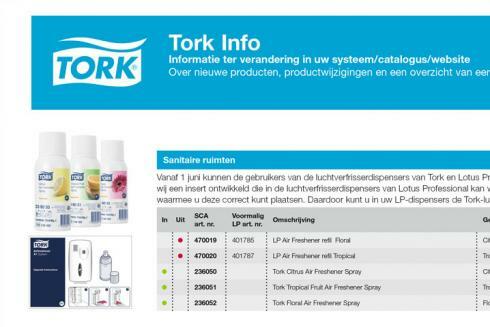 Centigrade produces a quarterly email newsletter for SCA Tork in the Benelux featuring the latest product innovations and changes to product selections together with interesting tips on Tork products. Also featured are direct links to download the latest product pricing information. These are also produced and handled by Centigrade together with reporting on the analytics of the mailing results.